Every now and then, an exhibit comes along that will change the way you see yourself... and the way you live your life. Experience the science and splendor of the human body like never before in the exhibition that The New York Times calls “Extraordinary!” With new additions in 2016, Gunther von Hagens’ BODY WORLDS, the original human anatomy exhibition, enters it’s third year in New York in an inspiring, immersive exhibit experience about challenges our bodies face navigating the 21st century. 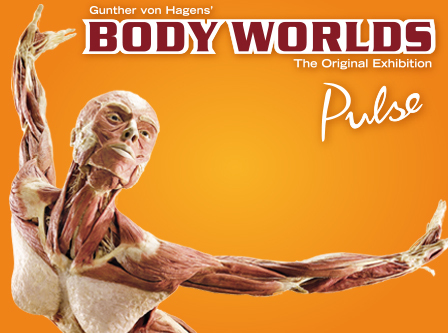 Curated especially for the ‘city that never sleeps,' BODY WORLDS explores the remarkable human body with displays of real human bodies, all donated to science by body donors wishing to educate the community. 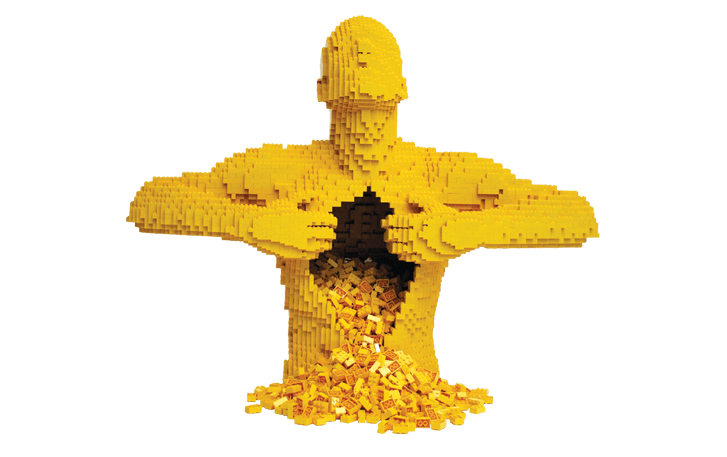 CLICK HERE to purchase a VIP ticket and visit without reserving a date and time, or give as a gift! Timed ticketing: Entrance into the exhibition is granted within a 30-minute window beginning at the time printed on your ticket. You will be asked to select your entrance time when adding tickets to your shopping cart on the right. If you do not arrive during your scheduled entrance window, we will make every effort to accommodate you during the next time slot with availability. Once you have entered the exhibition, you may spend as long as you like inside, however, patrons will be asked to exit promptly at the closing times listed above. American Express® Card Member offer: Receive one complimentary audio tour when you use your American Express Card to order tickets. Limit one per order, per Card Member account. Cannot be combined with any other offers or discounts. Not valid on group tickets. Not valid on previously purchased tickets. Subject to availability. To redeem, add the audio tour to your cart when selecting tickets to the right, and checkout using your American Express Card. Present your audio tour ticket along with your entry ticket at the exhibit entrance. Children 3 and younger are admitted free of charge, and do not need a ticket.